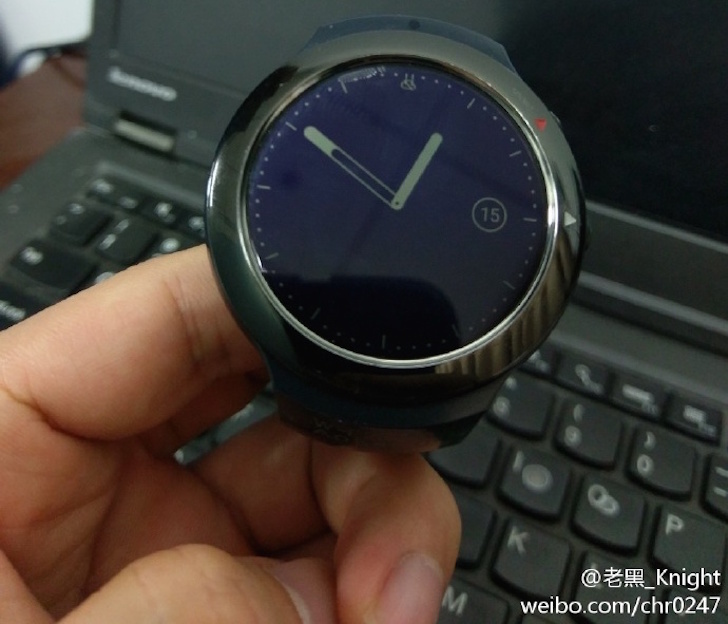 Back in October, there was leak about HTC's Android Wear watch codenamed as Halfbeak, reported by Weibo. From that day, we haven't got other news about it. But today, new photos have popped up again on Weibo of the watch in all it's glory. The pictures of the watch gives us the pretty good idea about what it is going to be, first of all it is an circular watch with two buttons on the right-hand side, marked by two arrows. The watch also appears to be running the 1.x version of Android Wear, which is interesting as 2.0 is coming out in less than a month. Other things to note are the pogo pins on the back, with a heart rate sensor also present. The resolution of the display is 360x360, which is a little higher than the Moto 360 V2 display, but lower res than the Huawei Watch's display. There's also an Under Armor logo on the back of the watch, indicating a likely partnership there; this would make sense, since the two companies collaborated on the UA Healthbox platform back in 2016.